Again a busy year awaits the Richmond Duck Club. Our calendar of events is packed as ever and we look forward to bringing enjoyment to the people of Richmondshire, and hopefully raising some money for children from the area along the way. We are already approaching May bank holiday and our annual Duck Race down the River Swale. 2500 plastic ducks crashing into the Swale is a spectacular sight. As ever we hope for decent weather and a fair (but not too strong current) to take the winning ducks to the finishing line. This year the Duck Club will be entering the Whit Monday parade with the Richmond Round Table. You’ll have to wait to see what the theme is, but fingers crossed we can get first prize (again!). The Sports Day is the focus for the Duck Club. We aim to provide fun for all the family with traditional games and races. Last year the sun shone on Richmond, smiles were abound on the participants and spectators alike. Let’s hope for a similar 2018. Christmas always comes early to Richmond and Santa will be there again this year to help switch the Christmas lights on. This year we expect to renew a number of the old lights, so 2018 will be even more spectacular. Councillor C. World, Mayor of Richmond S. Parsons, Les Calvert of the Black Lion Hotel, Landlady & Landlord Castle Hill Tavern, Graham Newton ROC, Eyecatching Signs, Richmond Meet Ladies, Altberg, Members Richmond Round Table , John Lawrence Dryad Arbor-Artists, Charlton’s Estate Agents, G.C.H Garden Maintenance, P.M.B. Security group, M.B Building Contractor, Don Payne, Hamilton Family Butchers, S.C. Electrics, Randal Orchard, Volunteers Ladies of the Duck Club, Miss V. Garth, Miss J. Stubbs, Mrs L. Curran, Mrs L. Stewart. 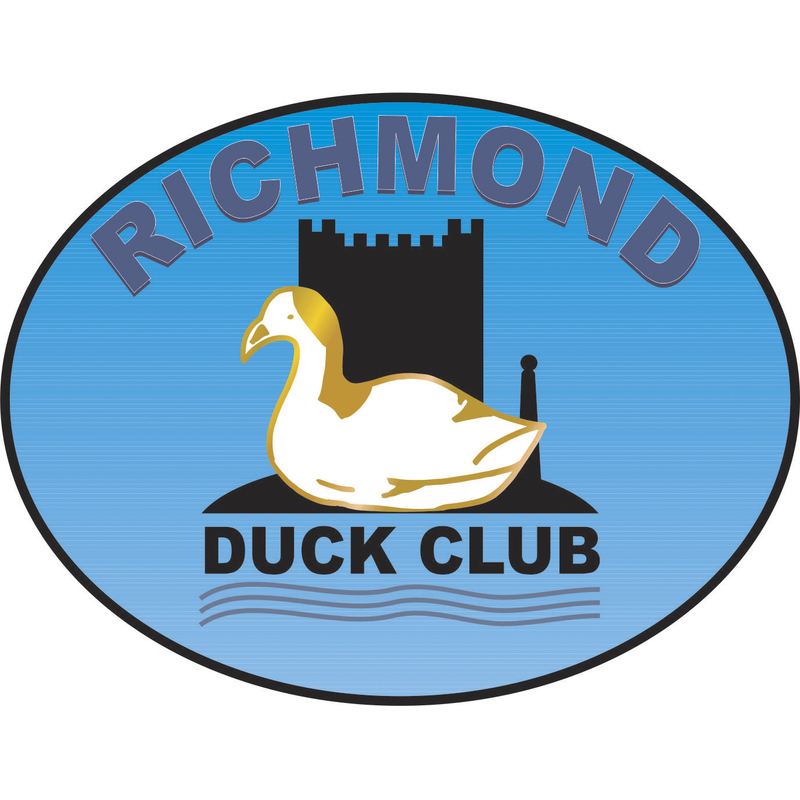 Duck Club would like to say a huge THANK YOU to the people of Richmond and visitors to Richmond who have given generously in supporting the Duck Club over the past 100 years. The President and members would like to thank everyone who has supported the Duck Club though out 2017. Those who have given generously in our collection boxes around town, At our Duck Race, Coffee morning and on Christmas Lights turn on. President Karl Kinchin and members of Richmond Duck Club would like to say Thanks to the following. Mayor and Councillor Stuart Parsons also Richmond Town Councillors and the Town Clerk, also Richmond District Council Mr G. Hudson for there continuous support. It was with there help and funding new electrical boxes was fitted in the Friary Gardens. Without there help Richmond Duck Club would of not been able to continue putting lights into the Friary Gardens Thank You. President Would also liked to Thank President Richmond Meet, Chairman and Members of Richmond Round Table, Eyecatching Signs. Many Thanks to all who came to see the switching on of the Christmas lights in the Friary Gardens last Friday. We would also like to take this opportunity to apologise for the three minutes early start. We have taken on board comments which was made on the night. And at our next meeting to be held on the first Friday in January 2018 we will look to address this matter for the 2018 turn.